Miami is having a cool streak (75 and less humidity than normal) so I took the opportunity to wear some boots. 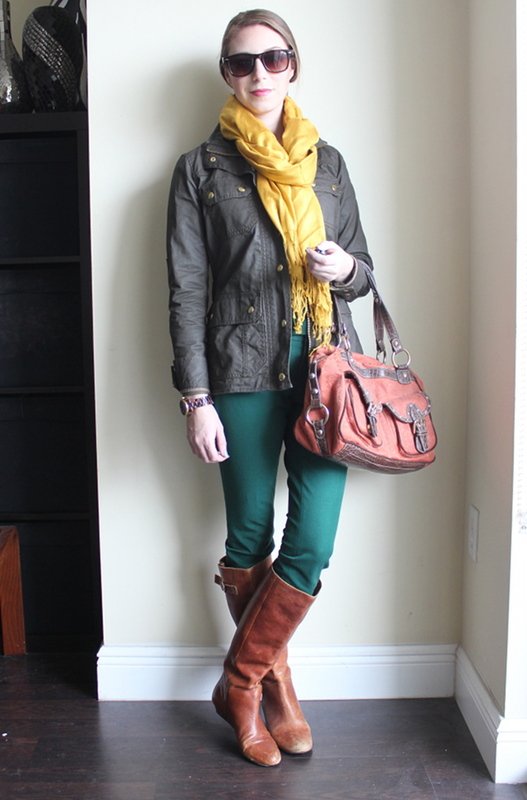 Full disclosure - I didn't wear the scarf outside because 75 is still too hot for that but I love the idea of hunter green + burnt orange + mustard yellow so I wanted to take a photo. Plus if you live in a colder climate you can hopefully get some "inspo" from the scarf. Most of my boots are 5+ years old at this point and they're looking a bit worn so I'm looking to replace them. 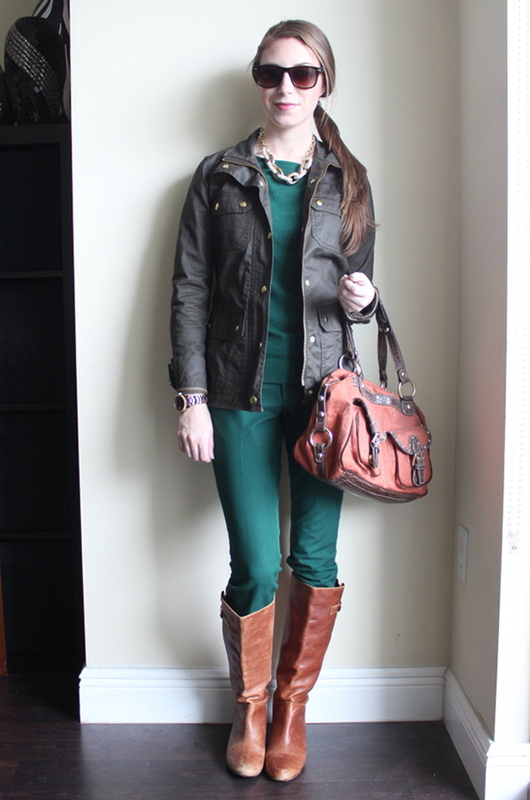 I'd love suggestions for black riding style boots and cognac or brown riding boots with slim calves. I've been browsing for slim calf boots for ages and I can't find anything that I really like (and that also isn't $500+). Linking up for Monday Funday! Have you tried Vince Camuto? They had a pair that were super snug on my calves. ooh so monochromatic! love that you've been pulling out so much more color lately! i have zero advice for you on boots since i need the wide calf variety - but good luck on the hunt! They were definitely vince camuto's "interpretation" of the Stuart Weitzman 50/50 boot. Hi there, can I ask how you tied the yellow scarf in the top picture. Thanks!